In "Ideology over Reality" Michael Albert appears quite willing to engage in further debate with the WSM therefore i will endeavour to present our practical alternative , mostly cutting and pasting from previous exchanges and various articles . We employ "obscurantist jargon" according to MA - and of course Parecon doesn't , but forgive me , but a whole glossary of Parecon terms meanings is required and words redefined to mean what they aren't such as remuneration doesn't really mean wages . However , as someone who can judge that Joan Robinson "as one of the more knowledgeable people in marxist economics in the world" he fails to recognise Marxist terminology and concepts that he so readily dismisses as obscurant . But i do not consider that a necessary failing because Marx was required to de-mystify existing language by creating or re-defining those new terms to reach the kernel of the social problems , just as Parecon writers have also been required to do to elaborate its ideas . Marx is famous for his anti-philosophy quotation "philosphers have only interpret the world , the point is to change it " to paraphrase , yet amazingly enough what is often over looked is the sub-title of Capital - " A Contribution to a critique of political economy " . Marx desired the abolition of economics , the same objective shared by the WSM who wish to challenge the assumptions and preconceived ideas of those economists that endeavour to re-create social relationships in the image of the existing society . Marx was not writing as a simple economist but was putting forward a “critique of political economy” , his main argument being that, whereas writers like Adam Smith and Ricardo regarded economic categories such as capital, wages, value, price, money, etc as eternal, natural features of human social existence, these were in fact categories of capitalism which would disappear when it did. Conventional academic economics declare that the true state of the world is scarcity - limited supply - versus- boundless demand , denying the potential for a state of abundance can exist.Our wants are essentially “infinite” and the resources to meet them, limited , claim the economists . However in the real world , abundance is not a situation where an infinite amount of every good could be produced . Similarly, scarcity is not the situation which exists in the absence of this impossible total or sheer abundance. ( It is these economists who really are the Humpty Dumpties when it comes to re-defining words , not ourselves ) . Abundance is a situation where productive resources are sufficient to produce enough wealth to satisfy human needs, while scarcity is a situation where productive resources are insufficient for this purpose. Admitting this would mean the end, not only of the economy as a system of allocating scarce resources but also of goods having an economic value and price; goods would simply become useful things produced for human beings to take and use, while economics as the study of the most rational way to employ scarce resources would give way to the study of how best to use abundant resources to produce free goods in the amounts required to satisfy human needs .This is the purpose of the WSM , to speed the day towards free access and the end of economics . That is what could be described as a revolutionary concept and not the idealised buying and selling world of commerce without exploitation that Parecon wishes to establish. The real discussion is how to provide for the needs of all using the ingenuity of the human race . That is the big X which both MA and WSM share and wish to address . So lets use the napkins as recommended by MA to outline the type of new society we desire without any reference to Marx's Labour Theory of Value . Just some application of common sense to solve a pressing problem . Let us compare one with another . Participatory Economics V Free Access Socialism . "When I tell them that this means they have not only jettisoned prices, income, etc., but they have done away with all possibility of sensible allocation because they have no way to decide between options based on valuations ... ", they simply ignore it. When I tell them they have also done away with all possibility of attaining just distribution because, again, there is no way to say to a consumer, or for a consumer to even know that some amount is more (or less) than he or she should have, or to say to a worker, or for a worker to even know, some level of work is more (or less) than you should be doing - the editors think they don't need to answer....they don't offer a serious set of institutions without those features and show their viability - though perhaps somewhere else they do and I am just unaware of it - though I very much doubt it. " "...And yes, people have incomes, or said differently, have budgets, which limit how much ofthe social product they are entitled to. And yes, allocation decisions about what to produce using resources and labor, etc. and about who winds up producing it or getting it, use valuations and are impacted by budgets. Not only does all this happen in a parecon, but more, I claim if it didn't the system would be utterly incapable of functioning intelligently, or even at all, much less functioning equitably and with self management. That ought to be trivially apparent. You can't make sound judgements about producing one item instead of some other, or vice versa, without knowing how much cost and benefit the item and its production involve..."
And MA KNOWS that only prices and money can be used to rationally organise society because the professors text-books say sot, thus it must be true and a law as natural as the Law of Gravity . Another example of MA not practicing what he preaches . MA reveals this slavery to orthodox capitalist economists when he employs what is called the Economic Calculation Argument (developed by Von Mises , even if MA declines to quote chapter and verse of Mises , he nevertheless , accepts it without questioning the actual requirement of a pricing mechanism for the well-being of society . It is automatically taken as fact , an economic law ). And YES he is unaware of our rebuttals and our own analysis of future society because he did not follow his own admonishments and recommendations for healthy exchange of views and research his opponents webpages . Let us begin with prices and how practical allocation of resources do not require the intervention of a pricing mechanism and how resources can be rationally allocated in a moneyless society . A monetary economy gives rise to the illusion that the “cost” of producing something is merely financial . Money is the universal unit of measurement, the “general equivalent” that allows everything to be compared with everything else under all circumstances—but only in terms of their labour-time cost or the total time needed on average to produce them from start to finish.Such non-monetary calculation of course already happens, on the technical level, under capitalism. Once the choice of productive method has been made (according to expected profitability as revealed by monetary calculation) then the real calculations in kind of what is needed to produce a specific good commence so much raw materials, so much energy, so much labour.In socialism it is not the case that the choice of productive method will become a technical choice that can be left to engineers (perhaps those of the co-ordinator class that MA fears ) , as is sometimes misunderstood by critics, but that this choice too will be made in real terms, in terms of the real advantages and disadvantages of alternative methods and in terms of, on the one hand, the utility of some good or some project in a particular circumstance at a particular time and, on the other hand, of the real “costs” in the same circumstances and at the same time of the required materials, energy and productive effort. By the replacement of exchange economy by common ownership basically what would happen is that wealth would cease to take the form of exchange value, so that all the expressions of this social relationship peculiar to an exchange economy, such as money and prices, would automatically disappear. In other words, goods would cease to have an economic value and would become simply physical objects which human beings could use to satisfy some want or other. The disappearance of economic value would mean the end of economic calculation in the sense of calculation in units of value whether measured by money or directly in some unit of labour-time. It would mean that there was no longer any common unit of calculation for making decisions regarding the production of goods. This is MA contention , that without prices we can not allocate resources . The WSM counter this with the proposal that socialism, as a moneyless society in which use values would be produced from other use values, there would need no have a universal unit of account but could calculate exclusively in kind .The only calculations that would be necessary in socialism would be calculations in kind. On the one side would be recorded the resources (materials, energy, equipment, labour) used up in production and on the other side the amount of the good produced, together with any by-products. This, of course, is done under capitalism but it is doubled by an exchange value calculation: the exchange value of the resources used up is recorded as the cost of production while the exchange value of the output (after it has been realised on the market) is recorded as sales receipts. If the latter is greater than the former, then a profit has been made; if it is less, then a loss is recorded. Such profit-and-loss accounting has no place in socialism and would, once again, be quite meaningless. Calculation in kind entails the counting or measurement of physical quantities of different kinds of factors of production. There is no general unit of accounting involved in this process such as money or labour hours or energy units. In fact, every conceivable kind of economic system has to rely on calculation in kind, including capitalism. Without it, the physical organisation of production (e.g. maintaining inventories) would be literally impossible. But where capitalism relies on monetary accounting as well as calculation in kind, socialism relies solely on the latter. This is one reason why socialism holds a decisive productive advantage over capitalism AND Parecon by eliminating the need to tie up vast quantities of resources and labour implicated in a system of monetary/pricing accounting. MA tells us that without the guidance of prices socialism would sink into inefficiency . “Socialism” or “communism” has for the WSM meant a society without markets, money, wage labour or a state. All wealth would be produced on a strictly voluntary basis. Goods and services would be provided directly for self determined need and not for sale on a market; they would be made freely available for individuals to take without requiring these individuals to offer something in direct exchange. The sense of mutual obligations and the realisation of universal interdependency arising from this would profoundly colour people’s perceptions and influence their behaviour in such a society. We may thus characterise such a society as being built around a moral economy and a system of generalised reciprocity. Lets get to the practicalities of Free Access Socialism . The problem with a centrally-planned model of socialism was its inability to cope with change. It lacks any kind of feedback mechanism which allows for mutual adjustments between the different actors in such an economy. It is completely inflexible We witnessed in Russia how it was unable to determine prices by central planning. Prices were set , re-set , fixed then re-fixed , plans were made then re-appraised , re-defined , changed and dropped . Socialism however is a decentralised or polycentric society that is self regulating , self adjusting and self correcting , from below and not from the top . It is not a command economy but a responsive one . The “law of the minimum” was formulated by an agricultural chemist, Justus von Liebig in the 19th century. Liebig’s Law can be applied equally to the problem of resource allocation in any economy.For any given bundle of factors required to produce a given good, one of these will be the limiting factor. That is to say, the output of this good will be restricted by the availability of the factor in question constituting the limiting factor. All things being equal, it makes sense from an economic point of view to economise most on those things that are scarcest and to make greatest use of those things that are abundant. Factors lying in between these two poles can be treated accordingly in relative terms. Actually to claim that all factors are scarce (because the use of any factor entails an opportunity cost) and, consequently, need to be economised is not a very sensible approach to adopt. Effective economisation of resources requires discrimination and selection; you cannot treat every factor equally – that is, as equally scarce – or, if you do, this will result in gross misallocation of resources and economic inefficiency. In any economy there needs to be some way of prioritising production goals.How might these priorities be determined? We can apply Maslow’s “hierarchy of needs” as a guide to action. It would seem reasonable to suppose that needs that were most pressing and upon which the satisfaction of other needs are dependant would take priority over those other needs. We are talking here about our basic physiological needs for food, water, adequate sanitation and housing and so on. This would be reflected in the allocation of resources: high priority end goals would take precedence over low priority end goals where resources common to both are revealed (via the self regulating system of stock control) to be in short supply . We can also speculate, that some kind of “points system” might be used with which to evaluate a range of different projects facing such a society . Again those more qualified can explain how cost-benefit analysis is not dependant upon dollars and cents calculations, as even now ecological concerns are required to be taken into consideration in planning . In fact each day we all individually use various methods of adding up pros and cons to determine actions . Naturally, under capitalism ( read Parecon) the balance sheet of the relevant benefits and costs advantages and disadvantages of a particular scheme or rival schemes is drawn up in money terms , but in socialism a points system for attributing relative importance to the various relevant considerations could be used instead. The points attributed to these considerations would be subjective, in the sense that this would depend on a deliberate social decision rather than on some objective standard. In the sense that one of the aims of socialism is precisely to rescue humankind from the capitalist fixation with production time/money, cost-benefit type analyses, as a means of taking into account other factors, could therefore be said to be more appropriate for use in socialism than under capitalism. Using points systems to attribute relative importance in this way would not be to recreate some universal unit of evaluation and calculation, but simply to employ a technique to facilitate decision-making in particular concrete cases. The advantages /disadvantages and even the points attributed to them can, and normally would, differ from case to case. So what we are talking about is not a new abstract universal unit of measurement to replace money and economic value but one technique among others for reaching rational decisions in a society where the criterion of rationality is human welfare. Marx and the WSM has been generally reluctant about producing "recipes for the cook-shops of tomorrow" ( unlike the detailed and specific constructs of Parecon ) but a broad picture would be that production- for- use would operate in direct response to need . These would arise in local communities expressed as required quantities such as grammes , kilos , tonnes , litres , metres , cubic metres , etc , of various materials and quantities of goods . These would then be communicated as required elements of productive activity , as a technical sequence, to different scales of social production , according to necessity .Each particular part of production would be responding to the material requirements communicated to it through the connected ideas of social production . It would be self -regulating , because each element of production would be self-adjusting to the communication of these material requirements . Each part of of production would know its position . If requirements are low in relation to a build-up of stock , then this would an automatic indication to a production unit that its production should be reduced . If The register of needs and the communication of every necessary element of those needs to the structure of production would be clear and readily known . The supply of some needs will take place within the local community and in these cases production would not extent beyond this , as for example with local food production for local consumption .Other needs could be communicated as required things to the regional organisation of production. Local food production would require glass, but not every local community could have its own glass works . The requirements for glass could be communicated to a regional glass works . These would be definite quantities of required glass . The glass works has its own suppliers of materials , and the amounts they require for the production of 1 tonne of glass are known in definite quantities. The required quantities of these materials could be passed by the glass works to the regional suppliers of the materials for glass manufacture . This would be a sequence of communication of local needs to the regional organisation of production, and thus contained within a region .Local food production would also require tractors, and here the communication of required quantities of things could extend further to the world organisation of production . Regional manufacture could produce and assemble he component parts of tractors for distribution to local communities .These would be required in a definite number and , on the basis of this definite number of final products , the definite number of component parts for tractors would also be known . The regional production unit producing tractor would communicate these definite quantities to their own suppliers , and eventually this would extend to world production units extracting and processing the necessary materials .This would be the self-regulating system of production for need , operating on the basis of the communication of need as definite quantities of things throughout the structure of production . Each production unit would convert the requirements communicated to it into its own material requirements and pass these on to its suppliers . This would be the sequence by which every element of labour required for the production of a final product would be known .This system of self-regulating production for use is achieved through communications . Socialism would make full use of the means communications which have developed . These include not only transport such as roads , railways , shipping etc. They also include the existing system of electronic communications which provide for instant world-wide contact as well as facilities for storing and processing millions of pieces of information . Modern information technology could be used by socialism to integrate any required combination of different parts of its world structure of production . Simpler is Better. Planning in socialism is essentially a question of industrial organisation, of organising productive units into a productive system functioning smoothly to supply the useful things which people had indicated they needed, both for their individual and for their collective consumption. What socialism would establish would be a rationalised network of planned links between users and suppliers; between final users and their immediate suppliers, between these latter and their suppliers, and so on down the line to those who extract the raw materials from nature. There is no point in drawing up in advance the sort of detailed blueprint of industrial organisation that the old IWW and the Syndicalists used to and what Parecon now does , but it is still reasonable to assume that productive activity would be divided into branches and that production in these branches would be organised by a delegate body. The responsibility of these industries would be to ensure the supply of a particular kind of product either, in the case of consumer goods, to distribution centres or, in the case of goods used to produce other goods, to productive units or other industries. Since the needs of consumers are always needs for a specific product at a specific time in a specific locality, we will assume that socialist society would leave the initial assessment of likely needs to a delegate body under the control of the local community (although, other arrangements are possible if that were what the members of socialist society wanted). In a stable society such as socialism, needs would change relatively slowly. Hence it is reasonable to surmise that an efficient system of stock control, recording what individuals actually chose to take under conditions of free access from local distribution centres over a given period, would enable the local distribution committee to estimate what the need for food, drink, clothes and household goods would be over a similar future period. Some needs would be able to be met locally: local transport, restaurants, builders, repairs and some food are examples as well as services such as street-lighting, libraries and refuse collection. The local distribution committee would then communicate needs that could not be met locally to the bodies charged with coordinating supplies to local communities. To ensure the smooth functioning of the system, statistical offices ( and many of those now exist ) would be needed to provide estimates of what would have to be produced to meet peoples likely individual and collective needs. These could be calculated in the light of consumer wants as indicated by returns from local distribution committees and of technical data (productive capacity, production methods, productivity, etc) incorporated in input-output tables. For, at any given level of technology (reflected in the input-output tables), a given mix of final goods (consumer wants) requires for its production a given mix of intermediate goods and raw materials; it is this latter mix that the central statistical office would be calculating in broad terms. Such calculations would also indicate whether or not productive capacity would need to be expanded and in what branches. The centre (or rather centres for each world-region) would thus be essentially an information clearing house, processing information communicated to it about production and distribution and passing on the results to industries for them to draw up their production plans so as to be in a position to meet the requests for their products coming from other industries and from local communities. The only calculations that would be necessary in socialism would be calculations in kind. On the one side would be recorded the resources (materials, energy, equipment, labour) used up in production and on the other side the amount of the good produced, together with any by-products. Stock or inventory control systems employing calculation in kind are, as was suggested earlier, absolutely indispensable to any kind of modern production system. While it is true that they operate within a price environment today, that is not the same thing as saying they need such an environment in order to operate. The key to good stock management is the stock turnover rate – how rapidly stock is removed from the shelves – and the point at which it may need to be re-ordered. This will also be affected by considerations such as lead times – how long it takes for fresh stock to arrive – and the need to anticipate possible changes in demand. To summarise a typical sequence of allocation and information flows in a socialist economy might be as follows. Lets assume a store stocks a certain consumer good – say, shoes and boots. From past experience it knows that it will need to re-order approximately 1000 pairs from its suppliers at the start of every month or, by the end of the month, supplies will be low. Assume that, for whatever reason, the rate of stock turnover increases sharply to say 2000 tins per month. This will require either more frequent deliveries or, alternatively, larger deliveries. Possibly the capacity of the distribution point may not be large enough to accommodate the extra quantity of footwear required in which case it will have to opt for more frequent deliveries. It could also add to its storage capacity but this would probably take a bit more time. In any event, this information will be communicated to its suppliers. These suppliers, in turn, may require additional leather or plastic , to make the shoes or boots to be processed and this information can similarly be communicated in the form of new orders to suppliers of those items further down the production chain. And so on and so forth. The whole process is, to a large extent, automatic – or self regulating – being driven by dispersed information signals from producers and consumers concerning the supply and demand for goods and, as such, is far removed from the gross caricature of a centrally planned economy. versa. Deciding which end use should take priority is a function of feature 4 of a socialist allocative mechanism. This mechanism will direct producers towards economically efficient outcomes for the economy as a functioning whole since every part of it is connected to every other part via a feedback system. MA alleges that from each according to ability , to each according to needs is an unachievable utopia , while elsewhere castigating Marxists for not being utopian enough , this Marx who also challenged the division of labour long before Balance Job Complexes when he described that “… in communist society, where nobody has one exclusive sphere of activity but each can become accomplished in any branch he wishes, society regulates the general production and thus makes it possible for me to do one thing today and another tomorrow, to hunt in the morning, fish in the afternoon, rear cattle in the evening, criticise after dinner, just as I have a mind, without ever becoming hunter, fisherman, shepherd or critic.” It was Marx , this not utopian enough Marx , who said in communism it will be society’s free (disposable) time and no longer labor time that becomes the true measure of society’s wealth. Nor should we forget his son-in-law Larfargue who wrote "The Right to be Lazy"
In socialist society , productive activity would take the form of freely chosen activity undertaken by human beings with a view to producing the things they needed to live and enjoy life. The necessary productive work of society would not be done by a class of hired wage workers but by all members of society, each according to their particular skills and abilities, cooperating to produce the things required to satisfy their needs both as individuals and as communities. Work in socialist society could only be voluntary since there would be no group or organ in a position to force people to work against their will. As to collective needs (schools, hospitals, theatres, libraries and the like), these could be decided by the groups of individuals concerned, using the various democratic representative bodies which they would create at different levels in socialist society. Thus production in socialism would be the production of free goods to meet self-defined needs, individual and collective . Society require a rational, long-term attitude towards conserving resources and yet present day society imposes intolerable conditions on the actual producers (speed-up, pain, stress, boredom, long hours, night work, shiftwork, accidents). Socialism, because it will calculate directly it kind, will be able to take these other, more important, factors than production time into account. This will naturally lead to different, in many cases quite different, productive methods being adopted than now under capitalism. If the health, comfort and enjoyment of those who actually manipulate the materials, or who supervise the machines which do this, to transform them into useful objects is to be paramount, certain methods are going to be ruled out altogether. The fast moving production lines associated with the manufacture of cars would be stopped for ever ; night work would be reduced to the strict minimum; particularly dangerous or unhealthy jobs would be automated (or completely abandoned). Work can, in fact must, become enjoyable. But to the extent that work becomes enjoyable, measurement by minimum average working time would be completely meaningless, since people would not be seeking to minimize or rush such work. And no matter how Parecon coats it with honey , people will be selling their labour power in exchange for the means to live and some will receive more and some will receive less . The threat of the bureaucracy assuming a new class in socialism that Parecon spends many pages warning and organising to avoid simply cannot arise in this form of socialism . Free access to goods and services denies to any group or individuals the political leverage with which to dominate others (a feature intrinsic to all private-property or class based systems through control and rationing of the means of life ) . This will work to ensure that a socialist society is run on the basis of democratic consensus. Decisions will be made at different levels of organisation: global, regional and local with the bulk of decision-making being made at the local level. A socialist economy would be a polycentric, not a centrally planned, economy.Free access to the common treasury and no monopoly of ownership , not even by the producers who call for ownership of their own product ,( as promoted by mutualists and syndicalists ) can deprive individuals in society of common ownership of the means of production and distribution . The notion of status based upon the conspicuous consumption of wealth would be devoid of meaning because individuals would stand in equal relation to the means of production and have free access to the resultant goods and services . Again Parecon ( since of its support and the continued existence of a wages system and remuneration differentials ) cannot do away with a status hierarchy in which social esteem is closely related to an individual’s “pecuniary strength” , those at the top of this hierarchy exercising their pecuniary strength which provides the key signifier of social esteem in this hierarchy. Hence there remains emphasis on extravagant luxury which only the rich can really afford and those lower down this hierarchy imitating those higher up. We can readily guess that with luxury items rationed only to those that "deserve " by their work contribution settled by bjc committees , the less fortunate and more envious will endeavour to appropriate these luxuries by theft which will require Parecon police , Parecon lawyers and judges and ultimately Parecon jails and warders . To have a system that allows wages to be dispensed on the basis of work carried out, allows money to circulate, and presumably restricts access to wealth ( food or housing) unless you have sufficient money to purchase something, doesn't seem to be too far from capitalism in terms of its outward appearance. Parecon appears to me to be about building a massive (and socially unproductive) administration for policing all the wage levels, labour outputs prices etc. In contrast the practical aspects of a (world-) socialist revolution is not about creating ever greater bureaucratic structures, but quite the opposite - it will be about removing the barriers capitalism has developed which prohibit access to wealth, and at a stroke create an economic environment without individual (ie monetary or , in Pareconese, consumer credit accumulation ) incentives . The reason that Parecon has to go to such lengths to construct such a complicated and complex (and wasteful system ) of elaborate checks and balances is ultimately that its proponents are unwilling or unable to accept that if given the right economic framework (or arguably no economic framework, as we maintain ) , then , in fact , humans can consciously co-operate, work and consume together. Parecon doesn’t just “not go far enough”offering a model that retains major elements of the market system, but more importantly is simply highly unlikely to be workable in the real world. Parecon is attractive to those who dislike capitalism, but who, in the final analysis, lack confidence that either there are sufficient resources on the planet to provide for all , or that human beings can work voluntarily, and co-operate to organise production & distribution of wealth without chaos, and consume wealth responsibly without some form of rationing . In the end, Pareconists remain fixated to the lazy person, greedy individual critique of human behaviour as one pro-Pareconist has written - "Under the moneyless scheme, those with the least social consciousness or least sense of social responsibility will win out because they will be more aggressive in taking "free" items from the distribution centers. Since there is no requirement of work the "free riders" who do no work will burden the system to the point of collapse...Why, then, burden ourselves with the risky system of moneyless "free access," with its huge dangers of being dragged down by parasitical free riders?" . Just a test to see if I can post here. I did skim what you wrote - but not much more than skim. I just didn't have time - and I apologize, because you obviously put a lot of effort into it - too much - honestly. Also, I have to admit to you - the idea that we can have a sensible economy, that meets needs and develops potentials, that promotes solidarity, that generates diversity, that facilitates and incorporates self management, without having an allocative means to judge the relative value of different options so that we can apportion our time and energy and resources in accord with our actual valuations doing what we desire and not what is too costly given our desires - strikes me as so absurd, I am just being honest - that it doesn't require much time. When you dismiss my views by saying they share with mainstream economics the belief that there isn't so much abundance that we can ignore costs and just do whatever anyone wants so I am thereby mainstream in my thoughts and beliefs and values, it is, honestly, no more sensible than if I said to you since you agree with fascists that people need air and food, you are fascist. Or perhaps, since you believe in the labor theory of value - let's suppose you do - and Stalinists do too, you are Stalinist. What is bad about capitalism and for that matter, neoclassical economics, is not that they think economies involve choices among possibilities based on valuations. Maybe I am sheltered somehow, but I know of no serious marxist economist, or any other kind of economist - indeed radicals of any stripe at all, who wouldn't be pretty much horrified at the idea that such claims could be taken seriously. That may explain why I am a bit incredulous at all this... It is bad enough when radicals assume perfect people who would never be nasty, jealous, drunk, or anything else bad - and thus assume away the need to deal with difficulties. But to assume away the need for valuations on grounds that we can simply have everything we want and there is no need to pay attention to relative worth to audiences, etc. is really even more over the top, it seems to me. In the current world, with our knowledge of ecological constraints, even more so. So let's try to boil it down quite a bit. I say that in any economy, any society, it will always be very desirable to make judgements about what we want to do with our time, resources, energies, etc. We will choose among lots of possibilities, not least, for example, not working for a time, those options that are preferred by those deciding, in the context they find themselves, and so on. Means of allocation are what mediates this kind of choosing. In parecon, it is called participatory planning. To make this choice it will always be both desirable and necessary - assuming the choice is to be rationale and guided by some norm such as benefiting the population, or really whatever other aim or aims may be operating - to assess the relative merits of different options - because not all options can be pursued. To do this means understanding their costs and benefits, social, personal, and ecological, and using that understanding to make judgements. So to judge these relative merits means assessing the difference between choices based on both costs and benefits, conceived as broadly as possible, and giving actors their fair and appropriate level of input. Now you either agree with that - which is abstracted greatly from parecon, to be very general, or you don't. I think you don't, but correct me if I am wrong. I think you believe, instead, that there is a capacity for humanity to generate as much nice and fulfilling goods and services as anyone could possibly desire to have, plus as much leisure as anyone could want, and so on. Well, is that really your view? If so, okay, we can agree to disagree. And, honestly, I can't imagine discussing it - further - because for me it is so utterly ridiculous, honestly.... Suppose everyone would like - if the cost was zero - their own large mansion, on the ocean, with wonderful fantastic food every day, with magnificent recording and listening equipment, with a nice big boat, with their own private tennis courts, or basketball, or golf, or whatever....a great home movie system, a wonderful violin, magnificent clothes, and so on and so forth, and, also, while they like creative work a lot, they would like a whole lot of time to enjoy their bountiful home and holdings - so they want to work only twenty hours a week and of course not do anything other than what interests them. What you seem to be saying is that you think that is possible... or, even if all that were possible, no one would want it. Both are false." Iwas unableto gain entry to the Parecon blog site to post and a comrade kindly placed an edited version on the blog which MA has answered . Answered?? He very much did not and that is very clear from almost his opening remarks when he assumed that there was no alternative allocative measures offered by Free Access socialism and that the article did not present an allocative process . Even a skim would demonstrate how untrue MA dismissal is . simply repeating that we believe differently." Readers can compare with the reply and make their own judgement. He repeats that no means of allocation or methods of deciding choice was presented , which amazes me , in that , the practical alternative to prices to prioritise option in a production for use society was clearly laid out . Bur perhaps because what was denied i.e. a price mechanism , MA was unable to treat it seriously , blinkered as he is by bourgeois economic teaching . The authors of the model[ read MA and Parecon ] under consideration in common with their opponents confuse the rational allocation of resources as such with the rational allocation of resources uniquely through the price system ... The point is that the allocation through the value form of the products of human labor is only "a particular social manner of counting labor employed in the production of an object" precisely in a society in which "the process of production dominates individuals, individuals do not dominate the process of production" (Marx). Only the "routine of daily life" makes us accept as "trivial and self-evident" that a social relation of production takes the form of an object" (Marx ). Ma should heed his own words before lecturing upon greed as a problem of allocation in a free access society . "We live in a world with institutions that propel greediness and self-centered calculation. The messages all around us foster these antisocial attitudes"
Thr response to MA actually pointedout thatthe type of society that has abloshed money , wages .
" The notion of status based upon the conspicuous consumption of wealth would be devoid of meaning because individuals would stand in equal relation to the means of production and have free access to the resultant goods and services . Again Parecon ( since of its support and the continued existence of a wages system and remuneration differentials ) cannot do away with a status hierarchy in which social esteem is closely related to an individual’s “pecuniary strength” , those at the top of this hierarchy exercising their pecuniary strength which provides the key signifier of social esteem in this hierarchy. Hence there remains emphasis on extravagant luxury which only the rich can really afford and those lower down this hierarchy imitating those higher up. " " The sense of mutual obligations and the realisation of universal interdependency arising from this would profoundly colour people’s perceptions and influence their behaviour in such a society. We may thus characterise such a society as being built around a moral economy and a system of generalised reciprocity." Until MA actually replies to the specific suggestions proposed for the organisation of a socialist society where money , wages and prices have be done away with and disputes them as practical applications of social administration , we can only continue to believe that MA and Parecon have never seriously considered the communist alternative to capitalism . Ignoring the fact that the whole organisation of socialism is a response to consumer demand - paying attention to the audience - i find that again his appeal to his expert opinion that they would be horrified that choices would not be based on "valuations" Engels seems to differ with MA in his criticism of another economist like MA believed he had constructed his model of capitalism without abuses . "Hence, on the assumptions we made above, society will not assign values to products. It will not express the simple fact that the hundred square yards of cloth have required for their production, say, a thousand hours of labour in the oblique and meaningless way, stating that they have the value of a thousand hours of labour. It is true that even then it will still be necessary for society to know how much labour each article of consumption requires for its production. It will have to arrange its plan of production in accordance with its means of production, which include, in particular, its labour-powers. The useful effects of the various articles of consumption, compared with one another and with the quantities of labour required for their production, will in the end determine the plan. People will be able to manage everything very simply, without the intervention of much-vaunted "value". - footnote- As long ago as 1844 I stated that the above-mentioned balancing of useful effects and expenditure of labour on making decisions concerning production was all that would be left, in a communist society, of the politico-economic concept of value. (Deutsch-Französische Jahrbücher, p. 95) The scientific justification for this statement, however, as can be seen, was made possible only by Marx's Capital." I'm working on my own reply as well to Albert. Did you want me to post your response too? I could..smile. Since it is his blog site, he may just delete our comments, but might be worth a try. I've printed out your latest response and will read it tonight. Anywho, you just let me know. I'll post my comments here when I've finished with it. Feel free to re-post both my comments , combining them togeher , with the usual disclaimer that i am unable on get onto his blog and you are forwarding . Okay. Actually, after reading what you've written last night, we, once again, touch on many of the same points. Do you mind if I combine our posts...so to speak, so that I'm not posting two messages saying basically the same things? Of course, I'll post the final draft reply here first, so that you can read it. I believe there is a misunderstanding what "money" means in Parecon. Alan Johnstone says that money could in functional production easily be replaced by "points". Very well, that is certainly true. However it must be kept in mind that what is understood as "money" is essentially what the function of money is. If you instead of dollars and cents suddenly start using "points" or indeed units of "materials, energy, equipment, labour" if these were used the way "money" is used today then what would be the difference? Surely everyone would agree that concepts are good or bad on the basis of the function they fulfill in either production process or broader society. I believe here lies the misunderstanding between Alan Johnstone and Michael Albert. Alan has, i believe at least, read that "money" would be used in Parecon and unconsciously assumed that all the bad properties "money" brings with itself in capitalism would also be true under Parecon. The truth is that only the name of the unit is the same. The function is different. I believe Michael Albert is wrong in assuming AJ believes that infinite resources are available. AJ just believes that assumed properties of "money" would make it so that the distribution would not be equitable and would lead to an exploitative class (iteration board members). Logically there is X amount of resources in any given economy (materials, energy, equipment, labour). These naturally need to be quantified so the populace can be informed how much sum commodities can be produced and so they can make rational choices about what they want produced (remember it's the population that decides what is going to be produced and not the iteration board which AJ assumes to be the next coordinator class). To give the population insight into possibilities you need to use some sort of units. Now you can call these units "points", "production inputs", "materials, energy, equipment, labour" or indeed "dollars". The name does not matter, the function it fulfills is the only thing that matters. And since the function of "money" in Parecon is simply to put (i would say value but its a term with a lot of connotations which don't apply in all aspects to Parecon) some aggregate sort of quantification into the system i believe the negative connotations of current times "money" can be dismissed. " And I've posted a response over at WSM to Albert... which I'll post here too shortly. At least we have stirred up a bit of a discussion. With the help of Alan and the writings of others, I've finished my reply to Albert's last comments. Any revision or editing comments are welcome. surprising given your comments from other pieces you have written. generate public welfare in a society structured to promote both is off the agenda simply because there are no institutionalized purse strings to regulate their behavior and their decisions on consumption? selfish natures aren't environmentally triggered to surface. The limitation of money puts a cap on our conspicuous consumption in other words, and Parecon supplies just such a controlling structured institution. against what you claim in that-people will consume to the maximum even to the point of being socially reckless and at the expense of their own democratically decided acceptance and agreement on the practical applications of social administration and prioritized production goals. ways, rather than reflexively rejecting them with a stored up barrage of rhetoric born of entirely different circumstances,"
to making such claims as you do. taking freely from all that has been decided to be produced. judgements about what we want to do with our time, resources, energies, etc. We will choose among lots of possibilities,"
without such a mechanism and we provided the outlined processes which would achieve such results. establish production priorities given an analysis of cost/benefit in the manner of a points system. A point system for attributing relative importance to the various relevant considerations would be subjective. reading the details of what we wrote off your shoulders and make life a bit easier for you..
a thousand hours of labour in the oblique and meaningless way, stating that they have the value of a thousand hours of labour. It is true that even then it will still be necessary for society to know how much labour each article of consumption requires for its production. It will have to arrange its plan of production in accordance with its means of production, which include, in particular, its labour-powers. consider in our social production and personal consumption. processes, and as such, an unwillingness to discuss this alternative. Okay, that's it ... smiling. I am afraid Matric is misundeerstanding me . I never said money per se would be replaced by points but that simply that in Cost Benefit Analysis , at the moment because we live in a capitalist system uses money in its comaparisons . I simply state that it need not be and Cost Benefit Analysis can still remain an accurate tool as part of the allocation process by simply using a points system . Very different from saying points will replace money . I think he also mistakenly accepts that the role of money in Parecon is simply indicative (accounting money). "Each individual has a 'dollar' income recorded in the economy's computer system. The income will be above or below average if the actor is borrowing or lending, or works more or less than average. When an individual or unit proposes receipt of some good, it spends 'accounting money' to get it. Every unit and individual can spend up to its income each year, each expenditure being deducted from its account. No cash changes hand, the computer record of remaining income merely decreases with each new expenditure. Likewise, accounting money does not earn interest" - i have a Visa debit card that performs exactly that role but the real purpose is to police unauthorised buying and selling but we know from history that cigarettes replaced . inflationary- worthless cash and performed as money and a substitute currency . And whatever way you look at it money is performing as a form of rationing . MA is simply switching words as he done with wages/remuneration , it is now money/consumption credits we will be paid in . It will still be used as the equivalent , and be used in the exchange economy to acquire personal possessions which Parecon fails to describe . Thats the purpose of money in Parecon . Monetary calculation, whether to discover which productive method is the most profitable (as in capitalism ) or for any other purpose (as proposed by Parecon ) is a very peculiar sort of calculation since it involves reducing all use-values to an abstract common denominator. Use-values can indeed be compared but only in concrete situations since the same object can have a different use-value at different times and under different circumstances. Monetary calculation, however, seeks to compare all objects in terms of an objective standard applicable in all circumstances; to do this it needs to identify a feature common to all objects. Such a common feature can indeed be found: that a certain "cost" in terms of materials, energy and labour expended has had to be incurred to produce them (ultimately the labour-time required to produce them from start to finish, and�this is the basis of the labour theory of value�the materials and energy expended, being produced by labour, can also be reduced to given amounts of necessary labour-time). It is this cost that is supposed to be measured by money. Money, then is the universal unit of measurement, the "general equivalent" that allows everything to be compared with everything else under all circumstances�but, and this is what the partisans of monetary calculation forget, only in terms of their labour-time cost or the total time needed on average to produce them from start to finish. To make this the only consideration that counts (as is imposed by the economic laws of capitalism) is an absurd aberration. It is like making volume the most important thing about bottles containing different liquids and then concluding that a litre bottle of water has the same significance as a litre bottle of wine or of oil or of sulphuric acid or whatever. But we are doing exactly the same if we say, or if we believe that different goods selling at the same price have the same "value", or are "worth" the same, in terms of their real usefulness to people. Nor are we saying that we will use money-substitutes as some other general unit such as labour-time and issue labour time vouchers ( often proposed by council communists and some in the old SLP of America , even if Marx suggested such as a temporary measure in his Gotha Programme Critique). Our critique of Parecon is that it is creating an unnecessarily complex system . Well, had a hell-of-a-time posting our final draft and finished reply to Albert on the appropriate blog thread. I assume he's blocked us out. I did however manage to get in on another, related, blog thread and post our message, after struggling with several other attempts. But, the posting did not copy and paste in correct format structure-damn frustrating too! It now reads like one very, very long paragraph! Ah..well. what's a girl to do?! Confession time . I have to apologise for the paragraph on saving up remuneration and privately illegally investing it in an enterprise . I have now been corrected since money in Parecon is more like Labour time vouchers , they do not circulate , they are not transferable and unlike vouchers they do not have a physical presence , it isn't cash , but are credits on a computer . Nor when an item is paid for does the credit go to that enterprise . You are simply debited the amount but no money is credited to that company . My error in the understanding Parecon but if they inssist in describing it as money , then confusion will arise . Prices appear to be face the same problem . The Parecon definition of Price is uniquely Parecon . By the way, nobody has been blocked out or censored as far as I could see: why would you expect such a thing to happen? I don't remember if I know you, or we were engaged in anything, or whatever. > It would seem you have a low opinion of human nature which is surprising given your comments from other pieces you have written. Don't know what a low opinion would be, but I am pretty sure I don't have one. > So, informed people being able to consciously and rationally apply consumption constraints on their personal preferences in order to generate public welfare in a society structured to promote both is off the agenda simply because there are no institutionalized purse strings to regulate their behavior and their decisions on consumption? I am not sure what you are saying. But reading in only a little, I hope, yes, even if you are a paragon of virtue, you cannot make a sensible judgement about what is appropriate, or inappropriate, vis a vis duration or intensity of your work, or vis a vis what you should consume, unless information is available that let's you compare the full social and other costs and benefits of all concerned. This would actually seem rather obvious. Twenty years ago, for you to have had a computer, consumed one, capable of what the one you have been using does, would have been a very rich request. If you got it, and wanted to be responsible, you would likely have had to take little else, else you would have been taking too much for one responsible person. Now having such a computer is a relatively moderate request. The difference isn't inside you - it is in the relative valuations due to changes in production techniques, etc. Without knowing how the work done to produce what you want hurts the environment, and how the work done to create the intermediate goods that went into what you want does, and the harm or benefit to workers, and the resources and energy used up and therefore not put to other uses, and so on, you can't know whether the benefit you would get from it is enough to warrant your having it. > You claim that we need a pricing mechanism to make choices between competing options, but what you're really saying, it would seem to me, is that people need a controlling mechanism so that their greedy and selfish natures aren't environmentally triggered to surface. If you want to distort and even pervert what people say, so that you can dismiss it, I guess that is your business, but I can't see why you would, especially when you start right in saying, above, that you are surprised I would have such a view of people as you attribute to me. Well, okay, if so, why not assume that isn't what I am saying, that people want to trample others, or aggrandize themselves for the hell of it, etc. etc. - and think another minute, and see if you can see what I am in fact saying. You are on an island. You can't see what others are doing to produce food, say, coconuts. There is no means of conveying the relative onerousness of different work, the environmental effects, etc. etc. You want to be responsible, so you say I will settle for three coconuts a week. I can live on that, barely, but okay and it is probably not an excessive request. This is, however, not a good choice if coconuts are plentiful and easy to get. You should have more, the nutrition, the pleasure, etc. etc. Perfectly reasonble. Trying to be responsible, you short changed yourself. Suppose, however, coconut trees are really dangerous, swimming in snakes, or something. Now the request for three, well meant as it is, may well be an excessive request. Now a real developed society has hundreds of thousands of products, social relations, etc. etc. To be able to choose among options, to be able to know what things to produce more of, or less of, to be able to know how much you can take and be taking an appropriate amount, how much you can work and be working an appropriate amount, etc. etc. - yes - requires valuations. Saying that having valuations, including budgets without which people can't in fact register their relative preferences, is saying we need a controlling mechanism to prevent our ugly natures from screwing us and others up - is rather like saying, though admittedly more complex, having red to stop and green to go is a silly encumbrance on our freedom, just a throwback to authoritarianism. Rather people should just by their fine natures know when it is okay to stop or go. In other words that fact that something establishes limits doesn't mean that it is authoritarian or bad, in fact, it could be doing that precisely to further free association and fulfillment. > The limitation of money puts a cap on our conspicuous consumption in other words, and Parecon supplies just such a controlling structured instittution. If you mean parecon says people can't consume a larger share of the social product - unless someone gives them it - then they have a right to, that is correct. But a budget isn't imposed by an authority figure. It is, instead, an outgrowth of agreement about remuneration and a cooperative negotiation of inputs and outputs. In these respects it is rather like the law that says people shouldn't own others or kill others. In a good society we expect very few people will want to violate any of such rules, true. But, some obvious norms can't be pursued without certain information, and some information can't be had without a degree of restraint built in. If you can have anything you want, there is no way to discern that you want one thing more than another, and ditto for everyone else. > We maintain that people can make these decisions without the need for control or force exerted in Free Access socialism. So you are saying we all decide how much we will consume, and what if I decide I want more than you think I should have - so much more that if everyone said it, the economy, given how much people want to work, would be 50% short of meeting the total demand. Then what? I have to tell you, honestly, I am tired of this type exchange. Maybe you are right, but to my mind, what you are saying is so far from relevant to real world relations, that it is just isn't very worth pursuing. So I can't give it too much time, beyond what I have. > Socialism will create a structured society where people have accepted socially mutual obligations and the realization of universal interdependency and that decisions arising from this mindset would profoundly affect people's choices, perceptions, conceptualizations, attitudes, and greatly influence their behavior. Agreed, that is precisely what parecon does. > We effectively argue against what you claim in that-people will consume to the maximum even to the point of being socially reckless and at the expense of their own democratically decided acceptance and agreement on the practical applications of social administration and prioritized production goals. Go through this exchange, or any of my writing, and find me saying that people will be reckless as my point. You won't. What you will find is me saying that people who sincerely and robustly desire to be responsible - which I believe people will once they are in an environment where such behavior isn't punished, as now, and is even the only real way to live well - won't be able to do so, despite their desire, in the absence of valuations, and other claims of the same broad sort. I would be quite interested in your showing me where I say that. What I would say, however, is that if something is of no cost, and I want it, sure, I will take it, to enjoy it, why not. If something is of high cost in fact, but I wrongly believe it is of low cost, and I have nothing to go on but my beliefs, again I will take it, why not. Or maybe I won't, maybe I will cautiously censor myself - which is no better. So, something is of low cost, or middling, and I don't know what it costs and I worry it may be a lot, and I want to be responsible, so I pass on it, even though, in fact, I ought to have it if I want it. That is not good. You might say what is this word, cost. Well, it is technically opportunity cost - if you do x, then whatever went into x isn't going into something else. That's the cost, plus the side effects, etc. The true cost is a function of the overall inputs and outputs throughout the whole economy...and their effects. > are public libraries-people rarely borrow the maximum number of books allowed; public drinking fountains-people don't fill up gallon jugs for later at home personal consumption; free PC software-isn't compulsively snatched up; music-isn't downloaded to the extent that it would include each and every song a person ever thought that they might want to someday listen to; etc. I can't tell if you are being serious. Tell everyone that they can have a free house, a really nice car, or two, whatever equipment the like for sports or hobbies, whatever TVs they would enjoy and other tools of daily life, whatever food they want nightly, etc. etc. because it is all free, no problem for them to take what they want. And see what happens. See how well supply keeps up with demand, particularly if you also tell people, work to your ability, you decide how long and how hard, it is fine, all will be great whatever you decide, and what you decide has no bearing on what you consume. > In other words, these services and products are very rarely abused now, nor fully taken advantage of by people in an effort to maximize their consumption. If I had ever said, anywhere, people in a good society, or even now, will consume simply to consume, shop till you drop - your coments might be seen as having some bearing. But I haven't ever said any such thing. > You also state that the socialist position assumes away the need for valuations on grounds that we can simply have everything we want and that we assume there is no need to pay attention to relative worth to audiences, but where you got that idea is anyone's guess. It would help if you quoted me, and the context. Actually I know very very very few socialists for whom anything remotely like what you have been saying is their view, much less what you say I attribute to them. But, if you take the thing you attribute to me a bit differently, then here is where I got it. If there no readily available valuations, which it seems is something you seek, and hopefully accurate ones, which is something you seem to see no reason for - then no one can pay attention to them. If no one pays attention to them, and that is all right with you, even praised by you, then presumably, well, that is okay with you. The problem I have is unless I assume you are a nincompoop, and I don't, I know that of course you think it is critical to pay attention to valuations, etc. etc. But then you go and say, no, let's not have them....leaving me in a bit of a muddle. My guess is you can accomplish what I believe you need valuations and a planning process for, by another route...but even if so, and even if you were right in this believe, you would still have prices, and valuations - and I suspect budgets too - but I guess maybe not the last. Also, if I remember right, this all began with a dismissive review of parecon - not me dismissing some model you ascribe to. >"when encountering views contradicting ours perhaps we can agree that our attitude ought to be: 1. first, we want to seriously understand those different views on their own terms 2. second, we want to see how those different views are contrary to the ones we hold 3. third, we want to see if the different views are better in some ways, rather than reflexively rejecting them with a stored up barrage of rhetoric born of entirely different circumstances,"
> I suspect a more thorough reading would have been appropriate prior to making the claims you made. Maybe, but I doubt it...since the claims weren't actually about your model or system, I am pretty sure, but only about parecon, and the words you offered in reaction to it. > You've mistaken free access to mean people will automatically get everything they ever desired, as opposed to what it really means; taking freely from all that has been decided to be produced. So the difference is, I can take anything I want free, but only from what is there. Great. So I go to the store and race everyone up and down the ailese grabbing stuff? First, how does anyone decide what to produce, how much, what items, other than by knowing what people want - and how much they want it? Don't just run over that, think it through. Second, if we, whoever that might be in your system, decide to produce x - let's say, some few million apples, or tires, etc .etc., will the right amount of inputs have been produced, as well, and will the outputs all find a home with people who want them? And will the allocation of energy and time, and labor and resources have been smart - or would it have been better to use it or some of it, for some other end? And how does one know? Now as to the difference from before. Consider housing...somehow it is decided to produce x nice new houses. And they are free for anyone who does what, asks for one, from the social product. Oddly, the indicator of need is after production, a disaster. Also oddly, if there are fewer houses than people wanting them, people have to race each other to get them. Also oddly, we have no way of knowing if others have more need for a house than we do. And so on. > This is a very old 'red herring' argument which has been dealt with completely and, in fact, I'm very surprised to find you falling back on it. For example, access to the products of labor will be free and unfettered in socialism but access to labor itself will not - simply because the owners of labor are absolutely free to use it as they choose. So, the products that our work produces are available to all free, as discussed above. But access to labor isn't free - what does that mean? If you don't need income to consume, you don't get it for working. So I suppose you mean that one can't just say to someone else go do this, not that people are paid for labor. Regardless, it is, I believe quite incoherent. How do I know what I should be doing, whether I am good enough at something to be doing it, whether it is needed enough, and so on? You know there is an interesting pheonomen in this exchange. It began with a reaction to parecon - albeit what I think was a silly one. Now since I am actually willing to relate to your words and take you seriously, but you aren't willing to relate to my words or take me seriously, very quickly we move from discussing a full and serious model that was on the table at the outset, to discussing your views - and yet, I suspect you think I am not dialoging with you. > You can say that, yes, in socialism he may well have the right to choose to live in a ten-bedroomed mansion, but it is a hell of a responsibility (and a labor) to take on, isn't it? > How many people would want that? Way more than could have it for nothing. Some would want it a lot, others much less so. > Just keeping the place clean and in good order would be a huge task in itself, because you can bet your bottom dollar that in a society of freely associating human beings you are not going to find loads of people jumping at the chance to offer their labor solely for the purpose of keeping you in luxury. Hmmmm. Why would anyone have to offer their labor at all? If everyone else does, they can not bother, since they can have product, from the available social product, regardless. So sloth is rewarded. Likewise greed. > Choosing to live in luxury at the expense of others, which is what you're really implying, I think, is ruled out in socialism by a mechanism that arises out of the independence of labor itself. What you are saying is that people's choices arise in context of a valuation, in this case of the time required to produce stuff, but it should also include attention to the ecological and social costs and benefits, etc. Indeed, and that is what parecon reveals and facilitates people utilizing. > Luxury is only possible in a society where access is restricted. There may just conceivably be people in a socialist society who have a burning desire to live in a mansion, whatever it costs them, but it will not be an easy, and therefore not a common, choice. And of course social approval/disapproval will be another powerful factor in all this. I really do think we need to stop... I suspect we share most values, or at least many values. I suspect we are very very wide apart, however, regarding the actual pragmatics of economic production, consumption, and allocation. Let's let time decide...no point wasting lots of it this way...I suspect. > As far as consuming lots of luxury items, is concerned, that too, will be limited and will depend on other people deciding to produce items which will only be available to the few. And so on. You don't seem to get that what is luxury and what isn't is not an objective fact, like what is blue or green, but a function of social costs and benefits, depending on many variables. > You say, "let's try to boil it down quite a bit. I say that in any economy, any society, it will always be very desirable to make judgements about what we want to do with our time, resources, energies, etc. We will choose among lots of possibilities," Where you found any disagreement with this notion, is yet, another mystery. > Your solution to this problem is an income budget as a means to enforce restrictions on consumption. Our solution is democratically deciding on a prioritized set of production goals which is geared towards satisfying human needs and which takes into account the very factors you claim we ignore. The income and budget and all the rest are precisely what you say you seek - people, self managing, cooperatively, deciding on what to produce and consume, in light of full social costs and benefits. To have producers, as you seek, produce a set of production goals that is based upon satisfying human needs and developing human potentials and accounting for external costs and benefits is wonderful - but for self management it should actually be negotiated not just by producers but consumers as well - on the one hand - and more to the point, doing it depends on having a great deal of information - including valuations based on preferences, etc. > You say this can't be done without a price mechanism. We say priorities placed on production can be decided upon without such a mechanism and we provided the outlined processes which would achieve such results. Actually, I don't think you did, but do you realize that if you do have some way - whatever - to settle on inputs and outputs of all firms, then you also have, in fact, implicitly if not explicitly, settled on a set of valuations. There is no avoiding valuations, nor any reason to avoid valuations. If you say some things people can have with no onus, others they can't = you are saying there are different costs and you want people to abide them, but will allow people to do otherwise. > You state that we need this mechanism to order our preferences and choose between competing options and to rationally economize. We claim people can simply decide on their demand in order of personal preferences and socially establish production priorities given an analysis of cost/benefit in the manner of a points system. > A point system for attributing relative importance to the various relevant considerations would be subjective and could take into account all productive factors. > You asked to be corrected if you were wrong in assuming, "I think you believe, instead, that there is a capacity for humanity to generate as much nice and fulfilling goods and services as anyone could possibly desire to have, plus as much leisure as anyone could want, and so on." Let's boil down our position so as to lift the burden of actually reading the details of what we wrote off your shoulders and make life a bit easier for you.. Thanks, that will help, putting the tone aside. "which would enable us to keep track of this supply and demand. We have established that the need to economize on the allocation of resources is positively correlated with their relative scarcity and that that, in turn, is a function not only of crude supply as revealed via the self regulating system of stock control but is also a function of demand and of the technical ratios of inputs involved. Comparison of the relative scarcity of different inputs allows us to operationalize Liebig's Law of the Minimum. Having identified our limiting factors we can subject them to the guidance of our established system of production priorities to determine how they are to be allocated. Who is we? In parecon, for example, we is the producers and consumers, period. > In short, what we have arrived at is a coherent and functioning system of interlocking parts that at no point has need of economic calculation in the form of a price/money mechanism whatsoever." If you have relative valuations - well, that is what prices are. If you think they are something else - what? If you don't have relative valuations, then I doubt you can make relative choices sensibly. In fact I would be flabbergasted if you could, not least because making a choice is implicitly indicating a valuation, even if there was none before. My guess would be there are a hundred interpretations of the above...and honestly, I could not care less...I don't believe in scripture...so to speak. > Well, lo and behold, no one seems to have ignored a cost/benefit analysis as an important factor to consider in our decision making processes on social production and personal consumption. Imagine that! Wonderful...so it follows that we agree that each producer should be able to know, at least to a considerable degree, the true social costs and benefits associated with their labor, and likewise for consumers - which means each, among other things, needs to know about the other. I am assuming you agree we don't leave these matters to some elite. As a freely associated actor in an economy, a responsible and caring one, I want to consume things that bring me more pleasure and development than they cost to producers or by way of negative by-products, or indeed, more than can arise from any other use of them, ideally. And as a producer I want my products to enhance lives more, likewise, than losses due to not doing other things, due to negative by products, due to loss of leisure, and so on. So we are agreed, each person, producer or consumer - and we are nearly all both, of course - in their economic actions/choices, needs to be able to make decisions based on an understanding of relative costs and benefits. Parecon, via participatory planning, provides this information, both congealed in numbers, but also the social and ecological background textured information that yields those numbers, etc. as well as providing each person a self managing level of influence over outcomes that affect them. As to your system - well, I doubt it does all that, but I will agree that I don't follow it well enough to know. Is there a book you recommend? If not, perhaps write one, and let me know. > Free access socialism, while it is a society of freely associating individuals, who make their own wholly independent choices in regard to consumption and labor use, they remain wholly interdependent in relation to the means of production and therefore to production itself. There is no such thing as wholly independent choices about consumption or production. What each of us does affects all others, albeit only a little, but in sum, tremendously. I presume you know this. Well, replace the word socialism by participatory economics or participatory society, and I agree - where by self hood we don't mean people's genetic make up, of course, but their consciousness, behavior patterns, etc. 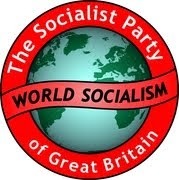 Put in the word socialism, instead, and it is still true - meaning say market socialism, or centrally planned socialism - but only rather modestly true. As to your brand of economy - again, give a book reference. > they will be more collective, less individualistic. The greater freedom of choice in socialism will paradoxically lead, directly to a greater convergence of choice. > What I am trying to get at here is that 'freedom of choice' is by no means a simple notion and one that is easy to misunderstand. In a socialist society 'freedom of choice' is already constructed in a social way by what is in effect an underlying social mechanism. Making the argument on the grounds of 'free choice' can lead to misunderstanding, since 'free choice' is often confused with the bourgeois fiction of 'free, individual choice' which in turn is made by human beings constructed as 'wholly independent centers of consciousness.' This construction is, of course, a fiction. If it were true it would lead logically to choices that were invariably socially isolated choices. I suppose, in the end, we will have to agree to disagree. Not sure what you mean - I am talking with you, at length, asking for a book length reference, even though, as best I can tell so far, the thing you have in mind while fine in terms of aspirations, is, as far as actual implementation, incoherent, at best. And even though, this started as being about parecon - which you have of course totally ignored. > showing an unwillingness to discuss alternatives on your part. > I've read several alternatives/criticisms put to you to which you've reacted in the same manner. You've dismissed them; refusing to discuss them. > It would seem to be a habit with you. > Let me be the one now to apologize for my honesty here, but I do feel compelled. As far as the model which Parecon presents I would refer to the same complaints voiced by David Schweickart in his piece 'Nonsense on Stilts: Michael Albert's Parecon' found here; http://homepages.luc.edu/~dschwei/parecon.htm which I know you are well aware of. Perhaps you can direct me to your rebuttal(s)?" Maybe you shouldn't have mouthed off quite so fast though it is rather interesting that you like the views of someone who advocates markets among other institutions I would think you would find abhorrent. Schwiekart wrote that piece, being about as nasty as one could in the process, in print. As soon as I saw the piece, in fact, we put it up on ZNet, with no conditions. Right up, on the front page, it went. Then I contacted him and told him so, and asked if he would like to debate the points to also go on znet, and anywhere else he might wish. He was quite flabbergasted, literally couldn't believe that after the tone he used, I would welcome him and discuss with him, even giving him major visibility on znet. But, I did. Then we debated, and you can see it in the debate section on znet, if you are interested. If I remember right, after a time, two exchanges, he called it quits, by the way, first reverting again to the nasty tone...sadly...though I was happy to continue. By the by, I think David would be apoplectic over your proposals, I wouldn't look him as an ally if I were you, but I may be wrong, give it a try. This is Matic Primc's comment, posted on July 9 on MA's "Ideology over Reality" blog post. I feel bad intruding on this discussion but its a blog so i assume i wont be glared at. I cannot get over my perplexion of why the debate is so heated. The positions taken by MA and RM seem to be very close (with some simply not understanding what the other one is saying (or me being guilty of the same)). I will just write down some comments. About low opinion on human nature. MA might or might not have low opinion on it ... tho MA's view could hardly be described as low opinion compared to mainstream these days. Lets assume Parecon or Free Acess Socialism would be instituted. MA claims there should be some structural limitation for consumption to make it harder on people to "cheat the system" while RM believes that people do not need this limitation. Ok ... if MA is right ... its needed ... if RM is right its not needed. But how does it being there suddenly make MAs idea anathema to RM. If RM is right and Parecon goes into effect then its not needed and can be removed - no harm done. If MA is right and FAS is implemented it will be a disaster. Also there is another side. RM claims that people will not consume to the max therefore MAs tool to keep people below the max is anathema. RM lists examples of people not using to the max (tho i do notice that all the things listed are items that can be made infinite - for example can we somehow run out of free software or music (for example when theres a concert people DO jostle for tickets because space is limited)). I would argue that it IS desired people consume to the max of their choices. They choose to consume less in order to be able to not produce as much and have more leisure time as result of not working so much. But they need to have a measure of how much less do they need to consume. Sure a 10 bedroom mansion is obvious ... but there are less obvious choices. And again we come to a situation. Parecon is instituted. A person chooses to work less and is conscious like RM says they would be. Great! We have now shown that it works and parecons limit is unneeded. Alternatively FAS is instituted. A person chooses to work less but is not conscious and responsible. MA is right ... but lo and behold .. there is nothing to deal with this. If it happens in numbers FAS goes down in flames. RM is correct pointing out that MA is wrong about RM assuming that there is infinite resources. But RM then goes on to misunderstand "value" in parecon being todays economic term basically meaning "whatever u can extort for it" which ofcourse is not the case in parecon. Finally Schweickarts criticism could be boiled out to one sentence without being grossly unjust to Schweickart. "Parecon would be really hard to get exactly as Michael Albert describes it to the 24th decimal place therefore it is ridiculous". I assume that the exactness he would have easier time accepting would be to "just let people work as much as they want and consume as much as they want". Now that would be exact indeed i suppose. To me criticism like that is ridiculous. From what i understand of both positions RM should be supportive of Parecon as that is where the truth of RMs theory could be easily tested and easily instituted if found correct. He should of course still primarily support his model - but maybe with a realization that if Parecon gets instituted he will have come 95% of the way towards instituting his own model. India - the booming economy ?